Flu season may be ending but there are plenty of reasons to take advantage of Health Services on campus. Your physical health and well-being are the cornerstones of your success, and our professional staff can assist you in a number of ways to ensure quality, confidential medical care. Health Services will also coordinate ongoing care with your primary care provider if needed. Free, confidential care is available to all full-time, residential and commuter, undergraduate and graduate students. 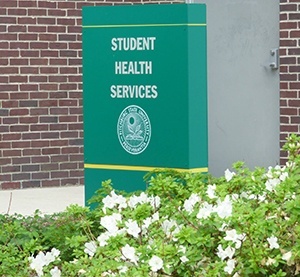 The student health fee covers the cost of visits other than physical exams and immunizations, and you will be seen regardless of the type of health insurance you carry. The costs incurred for medications, x-rays, diagnostic work-ups, referrals to specialists are your responsibility, so please make sure you understand your own insurance plan in order to note its possible limitations. The clinic is open Monday through Friday from 8:30 am to 5:00 pm by appointment. Call 978-665-3643 in order to schedule something. We also offer walk–in hours on Thursday and Friday afternoons from 1:00 pm to 5:00 pm and at this time it is only professional staff, no student workers, in the clinic. Usually, you’ll be able to be seen the same day you call or within 24 hours. If for some reason, that cannot be accommodated, and you feel you need to be seen right away, you’ll be referred to Urgent Care at Burbank Hospital, Fitchburg, or the Emergency Room at Health Alliance Hospital in Leominster. If you do not have transportation to the emergency facility, Health Services will facilitate the process. In the event of an emergency after 5:00 p.m., please call Campus Police at 978-665-3111 for assistance.